In my new house the yard is north facing and shaded by the buildings around it. 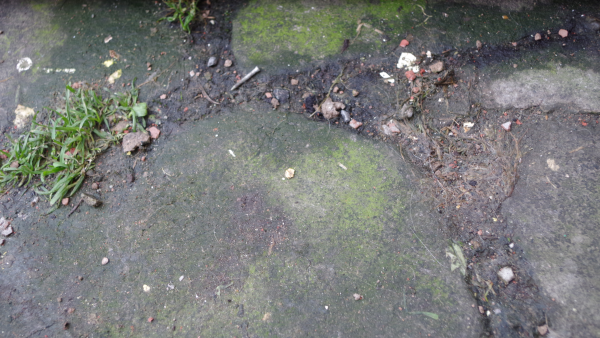 Currently there is a good deal of damp in the yard, with green “stuff” on a the paving and on the fence. The dampest corner by the toilet stack is super-green! 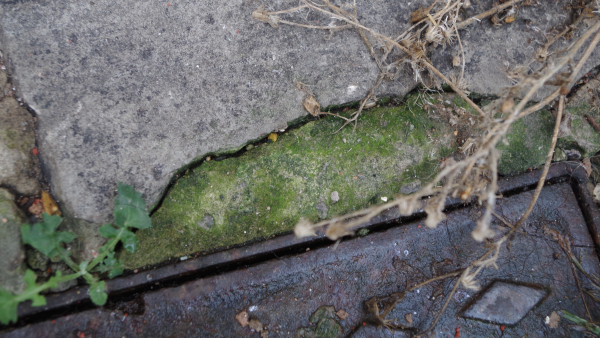 The crazy paving is a little … crazy: the hard, non-porous cement between the stones forms an impenetrable barier so there is no way for rain water to drain away. Also there are no plants to drink up the water either (except for the mushrooms which sometimes grow). It’s no that I hate this green stuff or anything, I am a big fan of moss etc, it’s just that this particular green stuff is a bit smelly and ick. I am pretty sure it will be deadly slippy by December too! 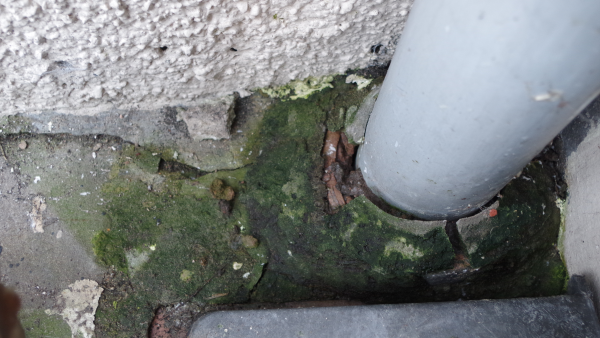 See the difference between the porous stone and the non-porous cement! I will also be building a large bed for growing plants in. I won’t call it a “flower bed” because it will mostly be too dark for flowers, but something to break up the space a bit, provide some structure to the yard, get some roots in to really drink up that water and also something to hide the wheelie bins behind. 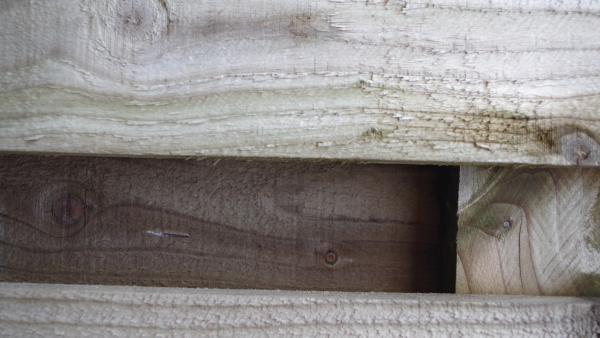 Even the wooden fence is green-ish!